GreenEarth Landscape Services excels at total residential landscape installation and design services, guiding you through the entire process, from your initial inspiration to the finishing touches that make your landscape uniquely yours. Our green industry professionals will be with you every step of the way! We’ll begin with an on-site consultation that includes a walkthrough of your property with your dedicated project manager, who will help assess your needs and desires. 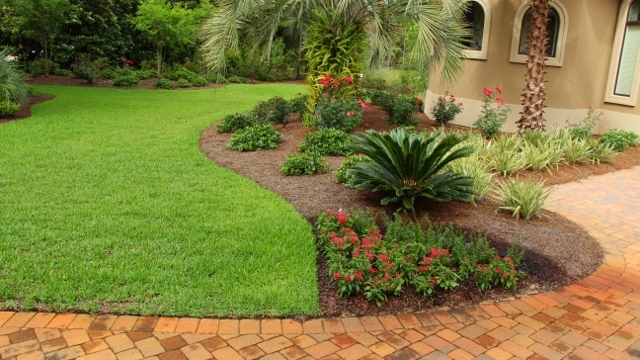 We’ll work with you to create a landscape design that suits your tastes and fits your budget, with meticulous attention to detail and plants that are suited to Florida’s unique climate. And, with the oversight of your project manager, our seasoned landscaping professionals will make that design — your dream — a reality. GreenEarth offers complete landscape installation services, from sod and mulch to annuals and perennials, shrubs to trees and more. And if your budget is limited — as many homeowners’ are — we’ll create a landscape master plan to help you tackle projects one by one, as your budget allows. GreenEarth is your partner in creating the beautiful landscape of your dreams, on your terms. But we think you’ll be so happy with the landscape we’ve created together that you’ll want to continue working with GreenEarth for as long as you own your home. After your residential landscape installation is complete, let us put together a plan to keep your landscape thriving in every season. 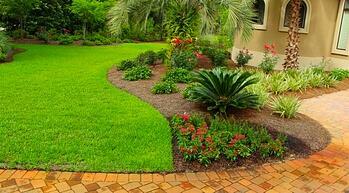 Read more about our landscape maintenance and lawn care offerings on our other residential landscape services pages. GreenEarth serves residential properties in Panama City Beach, Panama City, Lynn Haven, Santa Rosa Beach, Destin, Sandestin and Mirimar Beach, Florida. Ready to discuss your residential landscape design and installation needs? You can reach our Panama City Beach office at(850) 236-1959 or our Santa Rosa Beach office at (850) 267-0010. Or, you can fill out our handy online form to schedule a free consultation. And be sure to kickoff your planning (and dreaming!) process by downloading our free Landscape Planning Guide below.